One of the important areas where the Mayor could make a difference is in the whole area of the environment, climate change and sustainability. The new Mayor and the devolved authority will have authority over housing and transport, and a big budget, so they can have an important influence on questions that lots of people care about, like clean air, access to nature, energy efficient homes, congestion and affordable public transport. Cities, devolved regions and their Mayors can make a serious difference to our quality of life. For example, Ken Livingston had the courage and political skill to introduce London’s congestion charge scheme in 2003. This has generally been seen as a success, because traffic levels reduced and journey times became more predictable. Nevertheless, as in Cambridge, illegal levels of air pollution, largely from diesel cars have become a major problem. Nearly 10,000 Londoners die prematurely from dirty air each year. Sadiq Khan became Mayor in part by promising to make London “one of the cleanest greenest cities in the world” He’s introduced real time air quality monitoring and electric buses, and from October, older, dirty diesels will be charged £10/day to enter parts of the city. 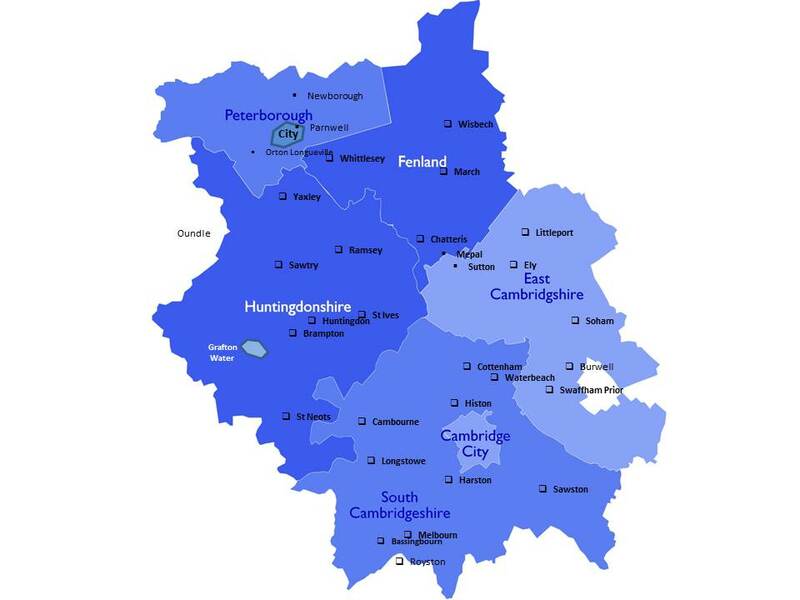 Housing is an area where Mayoral policies can make a big difference, particularly for an area like Cambridge where there is a real tension between affordability of housing, commuting times and the protection of the green belt. Reopening the rail line to Wisbech would seem an obvious first step for a new Mayor keen on spreading access to both jobs and affordable housing. Another aspect of affordability is energy costs of course, so it’s interesting that since 2010 the “London plan” has required new homes in London to be at least 25% more energy efficient than is required by normal building regulations. There’s also a £400 boiler scrappage scheme to help Londoners upgrade inefficient boilers. Why can’t we have the same? In Bristol, the unitary authority has been developing community renewable energy projects and district heating networks, with the help of up to £140 million of funding from the European Investment Bank. This gives the city an income stream, addresses fuel poverty, reduces the risk of energy shortages and reduces price volatility. Seems a good idea. Fuel poverty will be important issue to address in our region too, particularly in areas where there is significant deprivation. For example, in some parts of the fens, nearly 10% of households are classified as Fuel Poor, often living in cold and draughty homes, with their health suffering as a result. As a recent NICE (National Institute of Clinical Excellence) report showed, investing in improving the heating and insulation of vulnerable patient groups is a cost effective for the NHS, reducing demand and hence improving NHS access for everyone. This would seem a no-brainer for a new Mayor, keen to make a difference. The more I think about it, the more exciting our “devolution” becomes. Cities and regions are becoming the future. With environmental protections under threat from the new US President, Los Angeles Mayor, Eric Garcetti said a few weeks ago “No national government can prevent me from buying [electric vehicles]”. Los Angeles already has the largest electric vehicle fleet in the USA and saved 60 percent in costs last year by buying BMW i3 vehicles for the police. Copenhagen is threatened by sea level rise and heavy downpours, so has introduced The Cloudburst Management Plan –an integrated system of green streets and pocket parks that will function as water retention areas and water basins. More radically, in 2008 British Columbia introduced a pioneering, revenue neutral, carbon tax. Because the tax is revenue neutral, they’ve used the proceeds to reduce personal income tax to the lowest rate in Canada. Business rates have fallen, as has fuel consumption. The economy is growing faster than anywhere else in Canada. This has been funded by a gently increasing carbon tax on retail sales of fossil fuels, which adds just 7 cents per litre to the cost of filling up a car, but raises $1B pa. The idea, renamed as a “Carbon fee and Dividend” is now being taken up by Republicans in the USA. Our new Mayor won’t have tax raising powers, but in my view we should look for someone who has good ideas, the skills to make them happen, and the desire to make our region a better place for all.